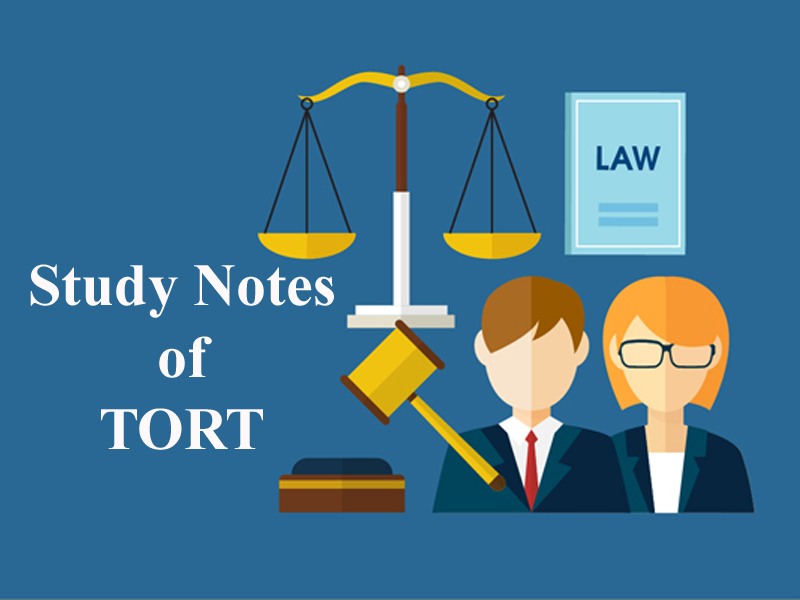 Here we are providing you updated and most relevant Study notes on Tort of Strict Liability and Absolute Liability for Law Entrance Exam. These study notes are highly recommendable for all those who aspire to crack CLAT, DULLB, AILET and other Law Entrance Exam. In 1868, Justice Blackburn in case of Rylands V. Fletcher laid down the strict liability as in the Ryland’s case certain exceptions were introduced But in India, in 19th century with the leak of Oleum gas from Shriram Food and Fertilisers Ltd. in Delhi, the Supreme Court opened new horizons for fixing the liability. The rule laid down in the year 1868 was not blindly followed and Justice Bhagwati opened a new dimension of liability and called it Absolute Liability- A liability without any exception and in furtherance to this judgment, Public Liability Insurance Act was enacted. According to the rule of strict liability, where a person for his own benefit, brings on his land and collects and keep there, anything likely to do mischief if it escapes, must keep it at his peril, and if he does not do so, is prima facie answerable for all the damage which is the natural consequence of its escape. This rule is also called as rule laid down in Ryland’s V. Fletcher. The use of land if increases the damage to others and is not an ordinary use of land on such a use is not made for the benefit of the community. For e.g. Growing trees on land, doing necessary wiring is natural use. 2. Escape of dangerous thing from defendants land. The principal of strict liability arises when the things escape out of the control and occupation of defendant and causes damage to the plaintiff. The rule does not apply where the deferent is empowered or authorized or required under the law to accumulate, keep or collect the dangerous things which escape or cause mischief and injury to the plaintiff. A, the owner of a mill, employed a contractor to construct a reservoir over his land to provide water to his mill. While digging and constructing the reservoir, the contractor failed to notice some disused shafts under the site of the reservoir and as such did not block them up. Shortly after the water was filled in the reservoir, it broke through some of the shafts and flooded B’s (the plaintiff’s) coalmines on the adjoining land. Held, A was liable in respect of the damage caused to B even though the damage was caused not due to the negligence of A, but to the negligence of the independent contractor. Case Law : Ponting V. Noakes: The plaintiff horse reached over the defendants boundary and nipped some poisonous trees and died. It was held that the defendant was not liable, for the damage was due to horse’s own intrusion. Case Law : N. Natayanan Bhattathiripad V. Travancore Gov. It was held by the court that as the plaintiff had agreed to the construction of the dam, he cannot later on turn around and lodge complaints that the presence of the dam has a source of injury to his property. The defendant, who was the landlord of the plaintiff and lived in the upper storey, maintained a water box for the benefit of both. One day it leaked without the negligence of the defendant and damaged the plaintiff’s goods. It was held that since the water was used by Plaintiff and defendant. The defendant would not be liable. A stranger deliberately blocked up to waste pipe of a lavatory in the defendants premises, thereby flooding the plaintiff premises. It was held that Defendant is not liable. The rule of absolute liability was laid down by the S.C. of India in M.C. Meta V. U.O.I. AIR 1987, S.C 965 leakage of oleum gas from one of the units of Shriram Food and Fertilisers Ltd.
On 1st January, 1987 an important development took place in India when Justice Bhagwati in the case of M.C. Mehta v. UOI, revolutionized the law laid down is strict liability. He did not follow the principal laid down in Reylands V. Fletcher on the grounds that those principles are not in keeping with the present day jurisprudential thinking. Facts :- There was escape of Oleum gas from one of the units of Shriram Shriram Food and Fertilisers Ltd. on 4th & 6th December 1985, the Delhi legal aid & advice boards D.B.A. filed applications for a ward of compensation to the persons who had suffered harm on account of escape of oleum gas. The question before the court was to fix liability of an enterprise engaged in Hazardous or inherently dangerous industry. Court decided that the liability of enterprises to be absolute. Recent Trends Recently in cases like M.P. electricity board V. Shail Kumari AIR 2002 (1): 5 and Mushtaq Ahmed V. state of Jammu & Kashmir AIR 2009, J & K 29. The basis of fixing liability in above two cases was foreseeable risk inherent in the very nature of such activity. If the electric energy is not properly controlled would result in risky expose to human life. 1. The gas that leaked in the famous case of M.C Mehta v. Union of India is? 2. The case in India that laid down the rule of absolute liability was? C. N. Natayanan Bhattathiripad V. Travancore Gov. 5. The exceptions to the rule of strict liability are? 6. The plaintiff horse reached over the defendant’s boundary and nipped some poisonous trees and died. Will the defendant be liable? 7. The plaintiff had agreed to the construction of the dam, can he later on turn around and complain that the presence of the dam has a source of injury to his property? 8. The defendant, who was the landlord of the plaintiff and lived in the upper storey, maintained a water box for the benefit of both. One day it leaked without the negligence of the defendant and damaged the plaintiff’s goods. Will the defendant be liable? 9. A stranger deliberately blocked up to waste pipe of a lavatory in the defendants premises, thereby flooding the plaintiff premises. Will the defendant be liable? 10. The rule of strict liability does not apply where the deferent is empowered or authorized or required under the law to accumulate, keep or collect the dangerous things which escape or cause mischief and injury to the plaintiff. Get the updated and most relevant study notes on Strict Liability and Absolute Liability for upcoming CLAT and other Law Entrance Examination.